It’s been a couple of weeks since I first launched Backup Smart and the comments back from users has been great. So great in fact, that I’ve implemented their suggestions and made the software even better. With more to come in the next release as well that I couldn’t fit into this release. 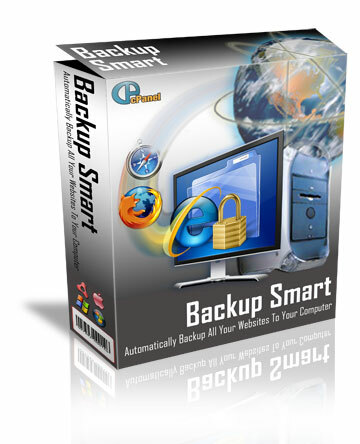 Simply start Backup Smart and under the Help menu, click the Check For Updates menu item. Or go to the Backup Smart download page and click on the installation badge. 2 important changes to this release other than the new Site5 backup ability. For those users on MAC OSX there was a bug in where the downloaded files where placed and named. How it escaped testing is beyond me, since it was working at one point. Anyway if you are using Backup Smart on a MAC, please go to the location where you specified Backup Smart to download the backups to and you will need to manually clean up the files that were incorrectly named. You’ll notice them straight away if you haven’t already, since they have the directory name and the file name all joined together. In order to provide a more robust emailing feature to send you emails when your scheduled backups are complete with the backup log transactions, the SMTP settings on the settings option in the menus has been enhanced. Everyone that had entered their SMTP settings will now need to go back to the settings screen and enter in some of the other SMTP fields, like sender name and email address and SMTP port. Some users were not able to receive emails and most likely it was due to not providing all the SMTP information that servers need. The help video regarding this feature will be updated shortly to reflect the changes. More control panels supported, let me know if you want your hosting providers control panel examined to see if it’s able to be supported. Failure proofed large backup file downloads. I’m talking accounts that are over 5GB in total size. You can attempt to download a large backup, you may get lucky, but if your internet connection hiccups then your download will stop. If your current web hosting isn't great, then you should check out Host Gator, I use and highly recommend them. Either shared, VPS, or dedicated. I use this software every single day for market research and rank tracking, just like my software they have a free trial to check it out.